This holiday season, double your charitable deeds by giving the elephant lover in your life the gift that gives back: a newly released 'silver lining' votive by glassbaby. The new edition of hand-blown glass votives, uniquely crafted by artisans in Seattle or Berkeley, make the perfect holiday gift and decor that give hope and light to those who love elephants, but more importantly for the majestic, gentle giants on the brink of extinction. For every 'silver lining' sold, 10% of proceeds will be donated to Conservation International to support elephant and wildlife conservation efforts in Kenya. For nearly 30 years, Conservation International has worked tirelessly to combine science, policy and partnerships to protect nature that people need to survive and thrive. Their work spans more than 30 countries on six continents. In 2015, when Conservation International first partnered with glassbaby, they received a $100,000 contribution from the glassbaby community to open Reteti Elephant Sanctuary, a community-run rehabilitation and release facility for orphaned baby elephants in Africa. The sanctuary is located in the Matthews Range within the Namunyak Wildlife Conservancy in Samburu County, which has Kenya's second largest elephant population. Now that the sanctuary is up and running, the new proceeds will support an elite team of rangers that CI is establishing to rescue wildlife and keep poachers away. glassbaby was born from trying times. Its founder, Lee Rhodes, is a three-time cancer survivor who found hope from candlelight in a hand-blown glass. During her chemo treatments, she met many patients who couldn't afford essentials like bus fare, childcare or even groceries. This inspired her to start her own business, with the core mission of helping others alleviate these daily struggles. 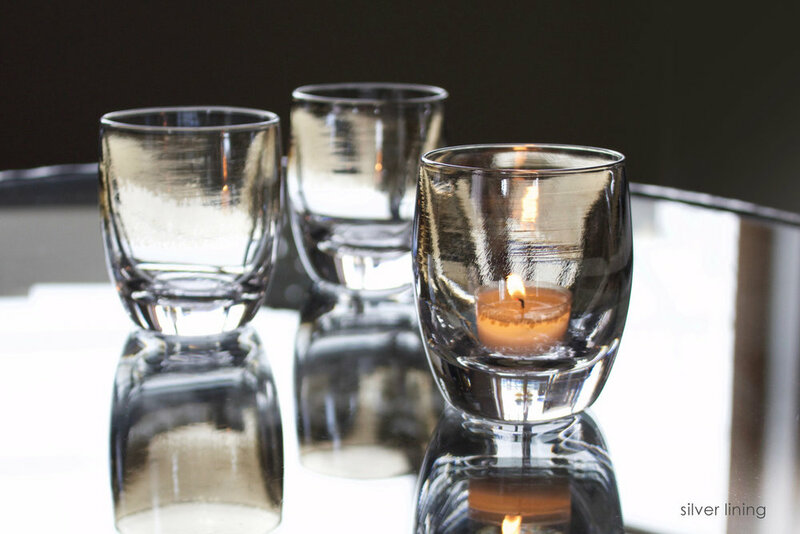 Today, the mission has expanded to give "hope, beauty, kindness, and millions of dollars to help people, animals, and our planet heal" by selling artisan hand-blown glass votives and drinkers. glassbaby pieces come in over 400 rich, vibrant colors in varied shapes, with unique names like 'joy', 'hope', and 'gratitude'. To date, glassbaby's white light fund has donated over $5.5 million to more than 400 non-profit organizations. The demand for ivory in China has fueled the illicit poaching and ivory trafficking trade, intensifying the plight of elephants and driving them closer to the edge of extinction. It's estimated that every 15 minutes, an elephant is killed for its ivory. This equates to nearly 100 elephants a day, and almost 40,000 elephants a year. At this rate, elephants could be wiped out within a decade. Elephants simply cannot survive this crisis without our help, as they cannot reproduce faster than the rate they're being killed. Bull elephants are mainly targeted for their big tusks, while African female elephants are also killed for ivory, resulting in more and more orphaned baby elephants--devastating the stability of elephant societies. So while this unique glassbaby votive is the perfect holiday gift that gives back, a species' survival relies on our ongoing efforts to help with conservation and in thwarting poaching and trafficking. Because a world without elephants would dim the lights not just during the holidays, but forever. Click here to buy glassbaby 'silver lining' votives, and to shop the full collection of votives, drinkers and accessories.